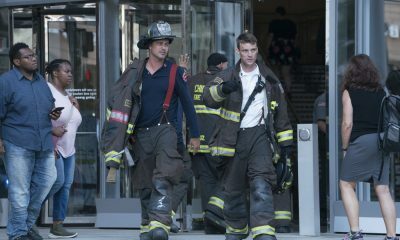 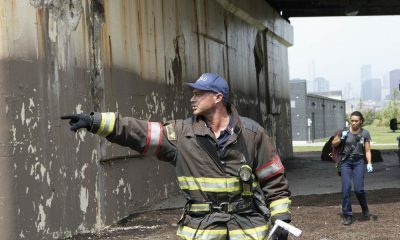 CHICAGO FIRE Episode 2.20 Photos A Dark Day : AN EXPLOSION AT A CHICAGO HOSPITAL ROCKS THE CITY–CROSSOVER EPISODE CONCLUDES THE FOLLOWING EVENING ON “CHICAGO P.D.”¬–Lt. 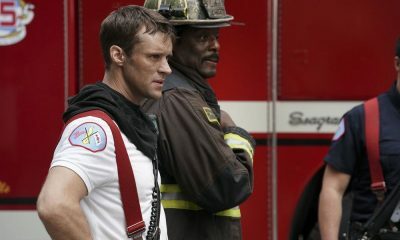 Casey (Jesse Spencer) and Dawson (Monica Raymund) volunteer to help at a charity run at Chicago Medical when a massive explosion sends Chicago into chaos. 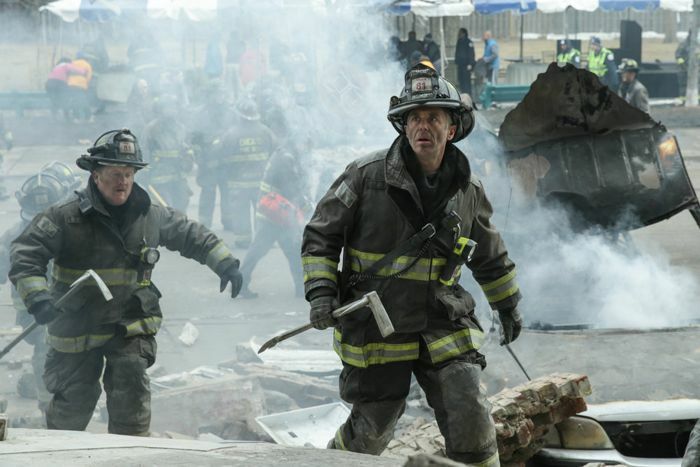 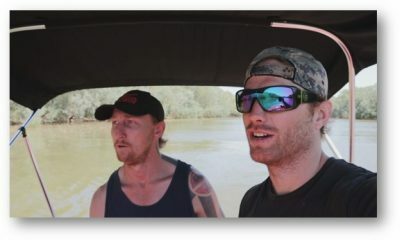 With one of their own missing in the blast, the firehouse is tested like never before. 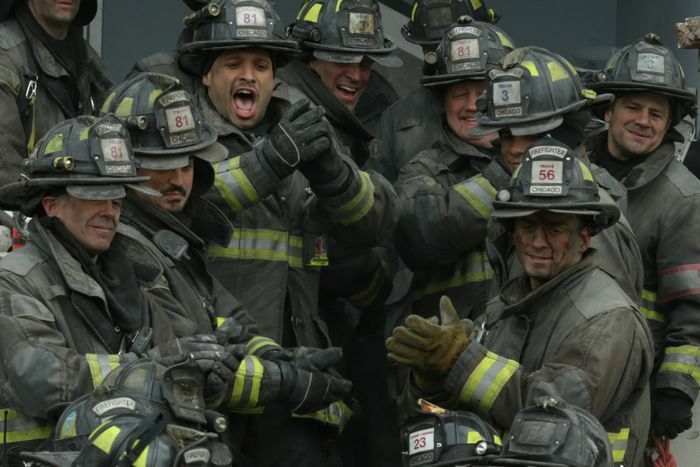 Taylor Kinney, Lauren German, Charlie Barnett, David Eigenberg, Yuri Sardarov, Joe Minoso, Christian Stolte and Eamonn Walker star. 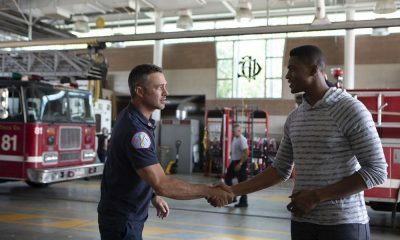 Jason Beghe, Jon Seda, Jesse Lee Soffer, Sophia Bush, LaRoyce Hawkins, Marina Squerciati, Dylan Baker, Amanda Righetti and Christine Evangelista guest star.